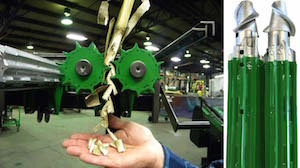 5000 Stalk Devastator™ from Yetter Mfg. The 5000 Stalk Devastator™ from Yetter Farm Equipment prevents tire damage, which means less down time and less expense to replace tires and tracks. The Devastator pushes stalks over and crushes them so tires and tracks on the combine or any equipment traveling through the fields are protected from cornstalk damage. 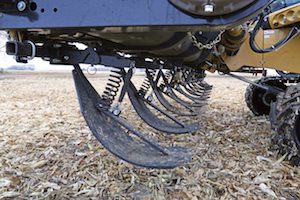 The Devastator is designed to crush stalks while leaving stalks attached, to speeding up the process of breaking down the cornstalk—which leads to improved field conditions for spring planting. Replace your existing metal or worn out poly corn gatherers with May Wes’s Poly Corn Snouts and reap the benefits. The C/M Knife Roller kit is a complete interchange for the stalk rollers you are currently using on either 40 or 90 series JD corn heads. The cutting edge of the knife is coated with long wearing tungsten carbide and heat treated making them extremely sharp and durable. The coating on one side of the knife produces a self sharpening design that ensures consistent performance throughout the life of the knife. 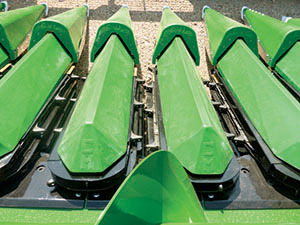 Calmer Corn Heads and BT Chopper stalk rolls are farmer-invented, farmer-tested and farmer-proven—our corn head upgrade kits make any existing corn head perform better and offer reliable performance year after year. 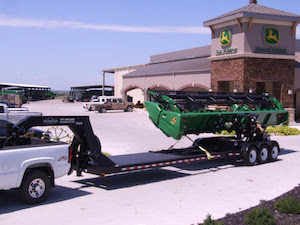 Call us by July 4 at 309-629-9000 to take advantage of our early order discounts and to solve your residue management problems for good this harvest. Stubble Striker from Poly Tech Industries, Inc. 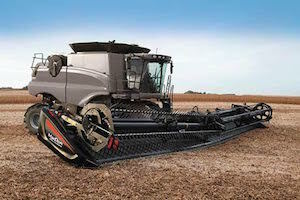 Protect your tracks or tires from today’s tougher hybrid stalks. 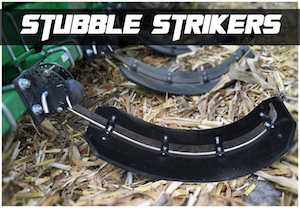 Poly Tech developed the Stubble Striker to be the lightest unit on the market. At 22 lbs. per row they are 50% to 60% lighter than other models. 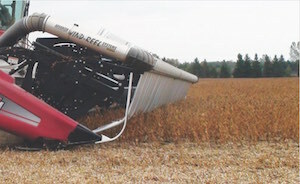 The Stubble Striker Features a 10 in. wide by 1/2 in. thick Poly Last™ UHMW shoe mounted to a flexible spring and brackets using simple pin locations and polyurethane bumpers for easy height adjustment. The shoe assembly easily flips up for transport. The MacDon D and FD Series combine headers are a true multi-cop harvesting solution, perfect for harvesting cereals, oil seeds, grass seeds, and beans. Low podding, downed, tangled or lodged crop; whatever the situation, MacDon D and FD Series draper headers deliver outstanding harvesting performance. Upgrade kits are available to take existing Stalk Stompers to the latest Quick Disconnect 2 version.